Yet instead of remaining quiet or furtive as has been tradition in the decades past, Chinese officials are increasingly responding to official American remarks, clarifying positions, defending their investments, and countering the narrative that its approach to Africa is purely based on “chopsticks mercantilism.” Through its diplomats and spokespeople, the Chinese say they are pursuing “shared interests” in Africa, arguing that Sino-Africa relations are based on “the vision of sincerity, real results, affinity, and good faith.” The propensity to comment on record also comes as China boosts efforts to improve its image globally besides sending senior officials to visit the continent regularly. 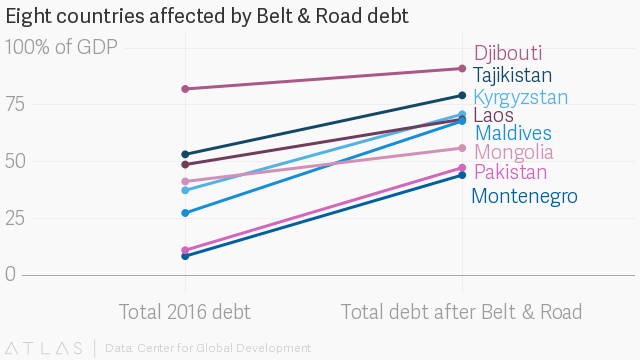 Similarly, in early March, Chinese officials pushed back on former US secretary of State Rex Tillerson’s assertion that China was miring Africa in debt. Lin Songtian, China’s ambassador in South Africa, said Tillerson “regrettably” came to “teach African countries and people to be alert” of China, even though they were “mature enough to engage in partnerships” on their own. After allegations surfaced in late January that China bugged the African Union headquarters which it helped build, foreign minister Wang Yi described the claims as the works of people having “a feeling of sour grapes” about the achievements of China in Africa. The official response has also increased as China is blamed for propping up authoritarian regimes, encouraging dependency, underwriting vessels depleting African fish stocks, overseeing shoddy infrastructural projects, and focusing mainly on countries home to natural resources it needs. But Beijing, increasingly aware of this, is pushing back on this narrative, highlighting the deployment of peacekeepers in Mali and South Sudan, providing scholarships, besides its educational and technological transfer initiatives.